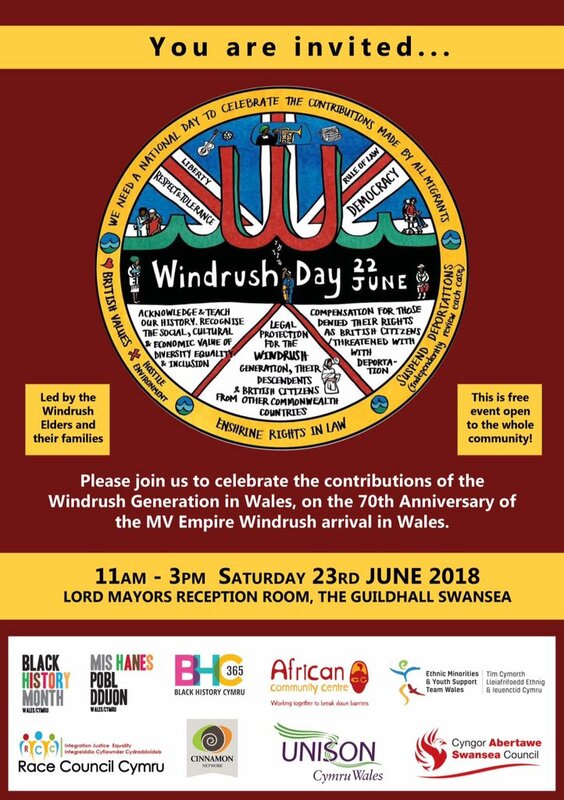 Please join us to celebrate the contributions of the Windrush Generation in Wales, on the 70th Anniversary of the MV Empire Windrush arrival in Wales. This event is led by the Windrush Elders and their families. 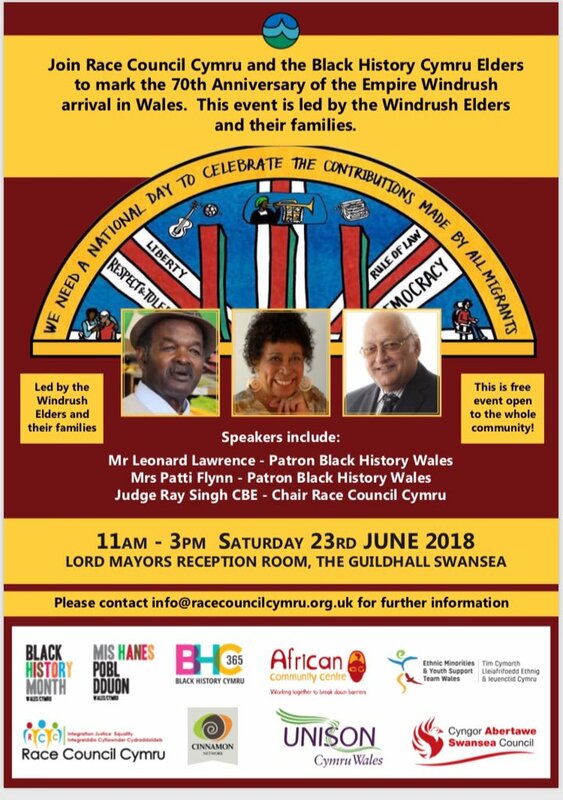 Brangwyn Hall, Guildhall, Swansea, SA1 4PE.